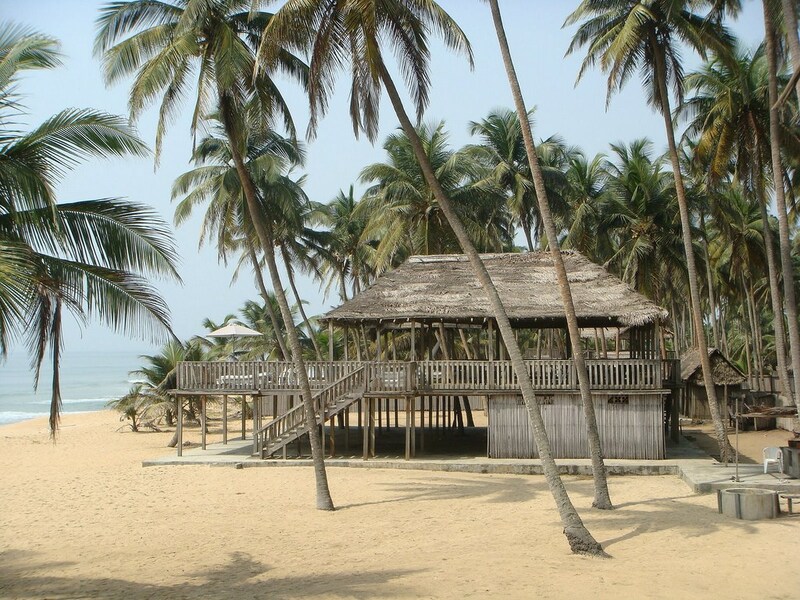 The largest cities in Nigeria: ranked 1 to 10.
Who will bring back Nigeria’s lost girls? ABUJA — Muhammadu Buhari to be re-elected as president of Nigeria,based on projection by Osaseye. Buhari won the key swing states Kano, Katsina and Lagos. 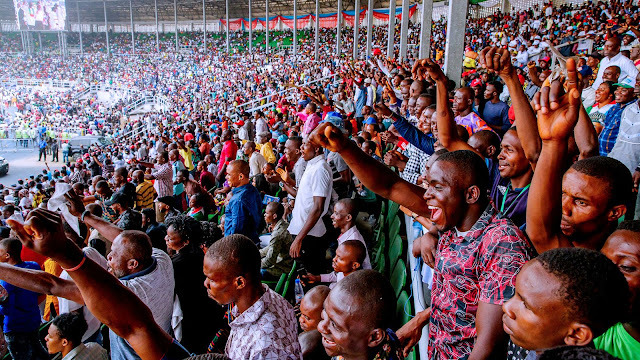 After the results from 24 states and the capital had been declared, Mr Buhari had a 1.5 million-vote lead, but the results from the states in the south-east, the PDP heartland, had not yet been announced. The presidential election with over 80 million registered voters' and 51% of the electorate under the age of 35 had the largest presidential candidate in the history of Nigeria with 73 registered presidential candidates across 120,000 polling stations. Final results will be released in the early hours of Wednesday by the the Independent National Electoral Commission (INEC). 84 million registered Nigerians are ready to cast their ballots on Saturday country's presidential and parliamentary elections. The stakes are higher as all eyes look to the Nigeria elections. Control of the Presidential Villa Aso Rock is now up for grabs, and any surprise, vote buying, vote rigging or delay in releasing election results will be watched closely. 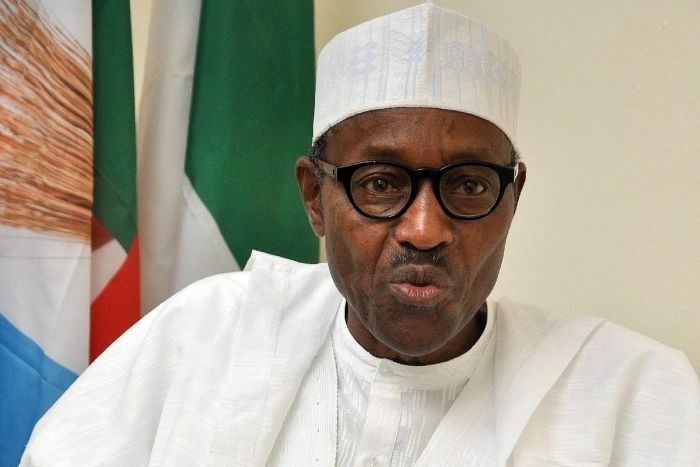 Incumbent president Buhari, 76, is running against 71 other presidential candidates but his main challenger is Atiku Abubakar, a 72-year-old business tycoon and former vice president. They are both Muslim candidates from the north of the country. Unemployment rates have risen from a little over 10 percent in 2016 to 23 percent in 2018. 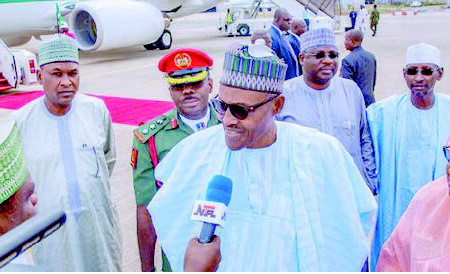 The stasis of the presidency was strikingly illustrated by Mr. Buhari’s taking six months to appoint government ministers and spending months away in London for medical treatment. His reluctance to speak to the people or to react in a timely manner to scandals in his government did not inspire confidence. 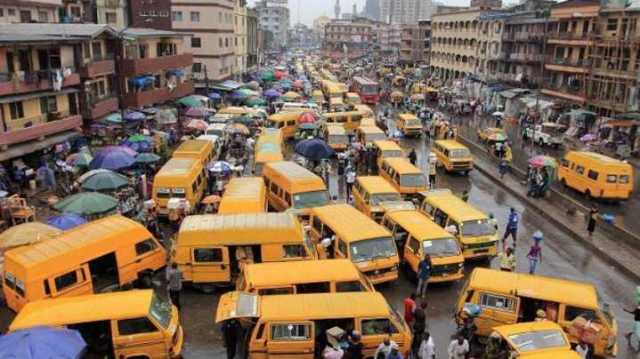 A new report from the Nigeria's National Bureau of Statistics says that Lagos State generates a whopping N333.96 billion in economic benefits to Nigeria. Aguero heartbroken as Nigeria have bounced back from the sleeping giant state to thrash a star studded Argentina 4:2 in a World Cup friendly match. The 29-year-old netted for the South Americans in the eventual 4-2 loss against the Super Eagles, but failed to come out for the second-half. Kun Agüero fainted in the dressing room and was taken to a nearby hospital for a general checkup." Nigeria vs Argentina has played four times in the 2014, 2010, 2002 and 1994 World Cups with the Argentines winning every one of those meetings by a single goal. Banega and Aguero had secured that comfortable lead, but Iheanacho, after scoring himself, teed up goals for Iwobi and Idowu. 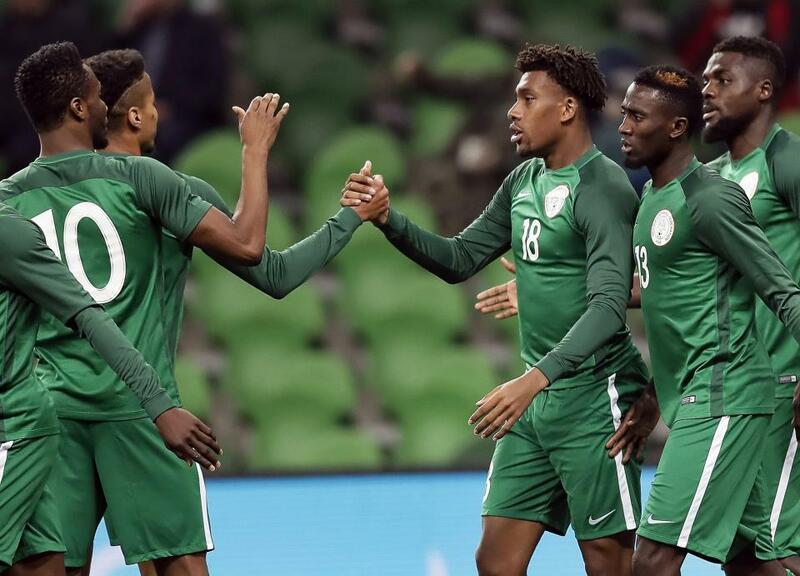 Iwobi notched the fourth, too, and there was no way back for Argentina.This was only Nigeria's second win against Argentina - and their second in which they've scored four times! 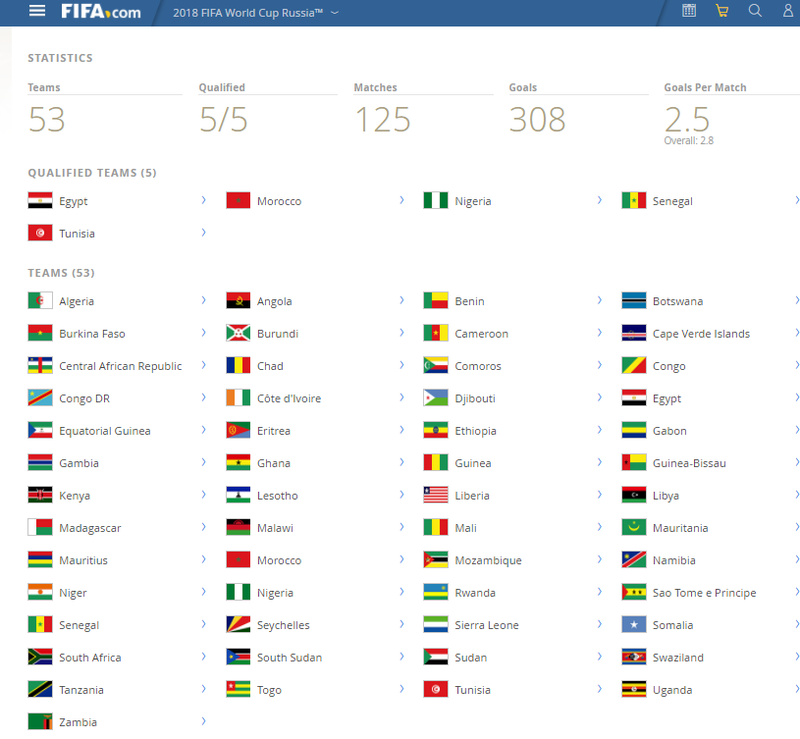 World Cup 2018 - which African countries have qualified for Russia? The Confederation of African Football's Preliminary Competition offers five berths at the 2018 FIFA World Cup Russia. Find out how many African teams qualified for the 2018 World Cup in Russia. Morocco and Tunisia completed African countries line-up at the FIFA World Cup™, securing the last of Africa's berths at Russia 2018. 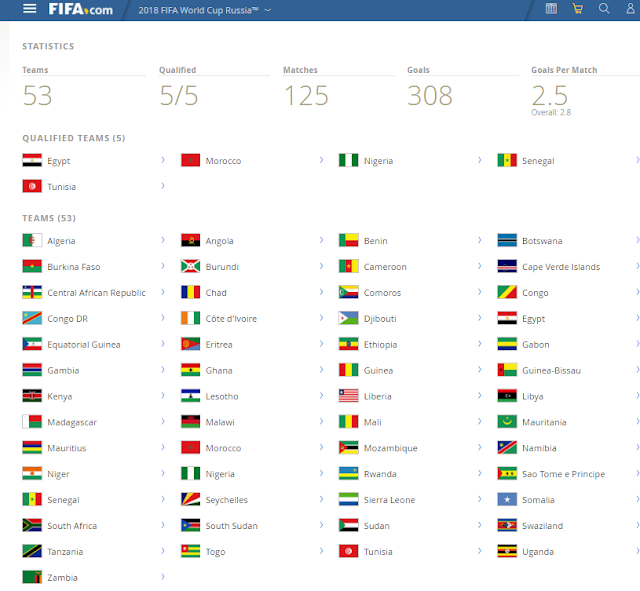 A total of 53 African countries participated in the World Cup 2018 qualifiers. Houston is the fourth-largest city in the United States and has the third-largest undocumented immigrant population , about 575,000 people, according to a report this year by the Pew Research Center. Texas’s looming crackdown on illegal immigration has already driven many of those immigrants further into the shadows, and possibly, out of the state. Rumors has it that ICE is waiting at shelter entrances and will detain and deport any illegal immigrants. 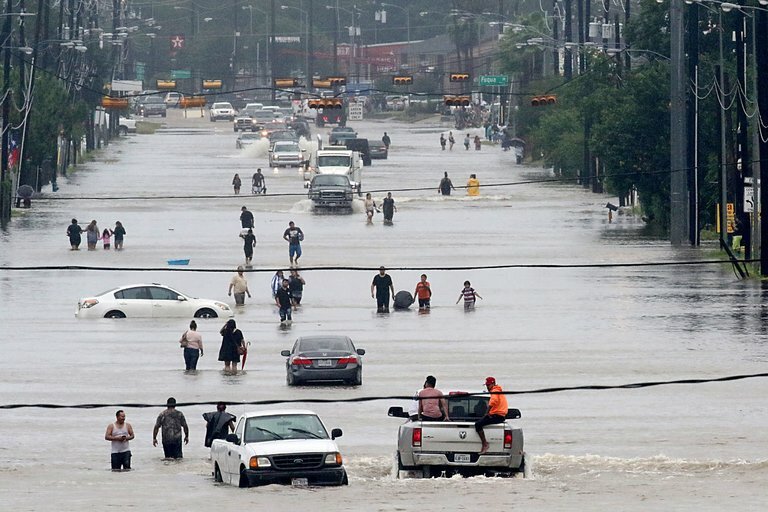 This led to over half a million undocumented immigrants living in fear of deportation and won't evacuate Hurricane Harvey's flood. 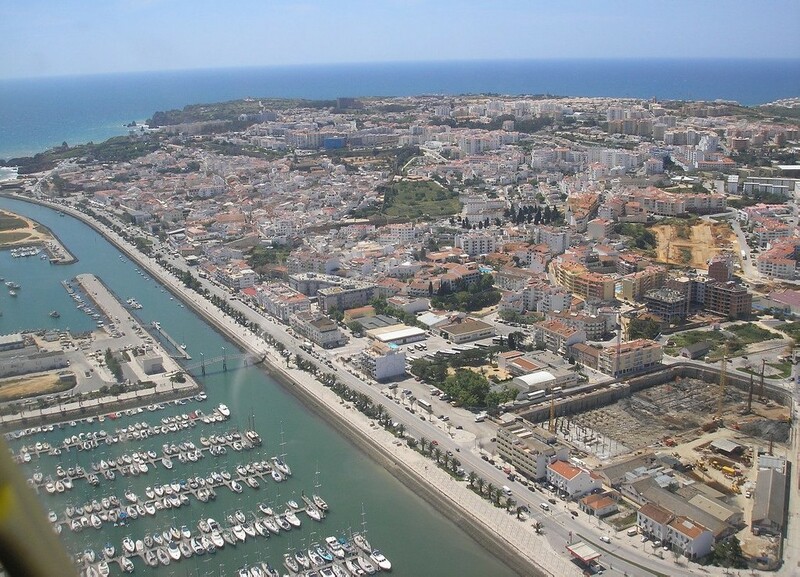 Lagos Nigeria is celebrating its 50th anniversary as the state grows to become the industrial hub of Africa with Lekki Free Trade Zone and Dangote Group. Lagos State created May 27, 1967 boast some 20 million people. Saturday May 27, 2017, the state of Lagos turns 50 years old. 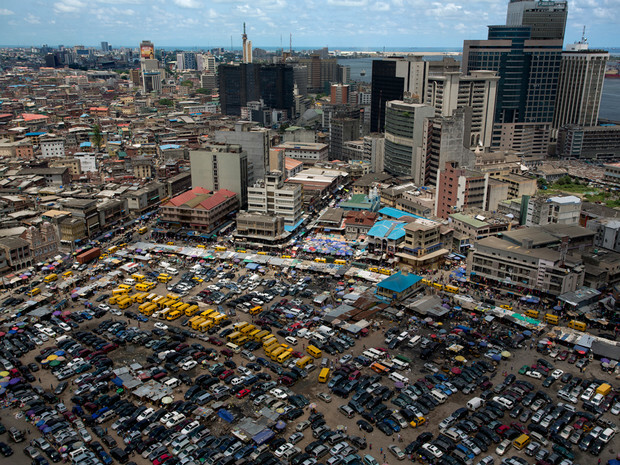 The former Nigeria’s capital is the world’s 10th largest city with between 17 and 22 million people,. Lagos State Governor, Mr Akinwunmi Ambode on the eve of Lagos State anniversary revealed strategies to move the State from mega city to smart city. Speaking at an international conference held at Eko Hotels and Suits as part of activities marking the Lagos@50 celebrations with the theme: “Towards A Smart City: Preparing For The Next 50 Years Of Prosperity,” Governor Ambode said the government has completed modalities for the take-off of the digital switch, all of which he said would come on stream in the coming months. “The next fifty years must cut out a path for us to create a framework for leaders that are not only visionary but also inspirational with passion if Lagos must become a Smart City. “Our State has made this commitment which has the potential to improve lives of our citizens, expand economic opportunities and access to critical public services. The Smart City initiative is Lagos Urban Development vision to integrate all sectors of governance into one box of growth and development – through efficient service delivery to each citizen. “The future prosperity of Lagos is dependent on how well we can equip our children and youth with technological and educational skills they can use to develop the solutions of the future,” he said. Three years after 276 schoolgirls in Chibok, northeast Nigeria, were kidnapped by Boko Haram on 14 April 2014, the Nigerian stolen girls are still no where to be found. The kidnapping sparked the global #BringBackOurGirls campaign that failed on its own promise to bring back the stolen girls. 21 of the stolen girls were released in October 2016 (more than 2.5 years) in a deal brokered by the International Red Cross. More than 63 have escaped from the Boko Haram camp. On the eve of the third year anniversary, Nigeria's government released a statement that it is in talks to release the remaining captive Chibok girls, the president said on Thursday, April 13, 2017. The government "is in constant touch through negotiations, through local intelligence to secure the release of the remaining girls and other abducted persons unharmed," President Muhammadu Buhari said in a statement. Of the girls taken from their school in the northeastern town of Chibok in 2014, 195 are still missing. College students from Georgia and Florida took over Ocean Drive in Miami Beach leading to a shut down for hours Friday as spring break crowds filled the sand and streets. Spring beakers descended upon South Beach, Ocean Drive in Miami for the first week of 8 weeks long Spring Break. There were 35 arrests during the first weekend. Last year, the second weekend of spring break brought mayhem, including 50 arrests and the murder of a 20-year-old on Ocean Drive. 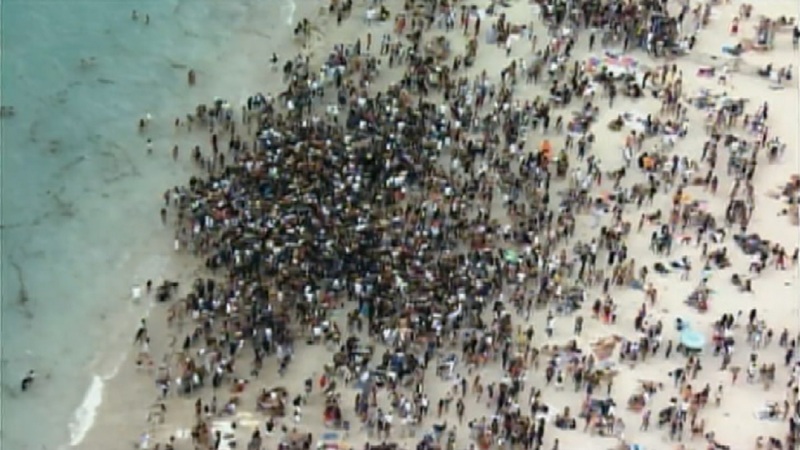 Between March 3, 2016 and April 16, 2016, Miami Beach saw an estimated 136,330 people visit the beach between South Pointe and 15th Street each weekend, according to a letter to commissioners from City Manager Jimmy Morales. 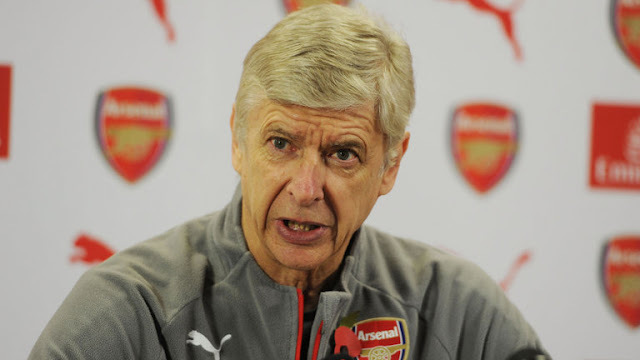 Arsenal football manager Arsene Wenger admits recent fans protests against him will influence his decision to leave Arsenal in the summer. Wenger's contract expires at the end of the season in May, 2017. Arsene Wenger has announced he will wait until the end of the season with to announce whether he will leave or stay at Arsenal. 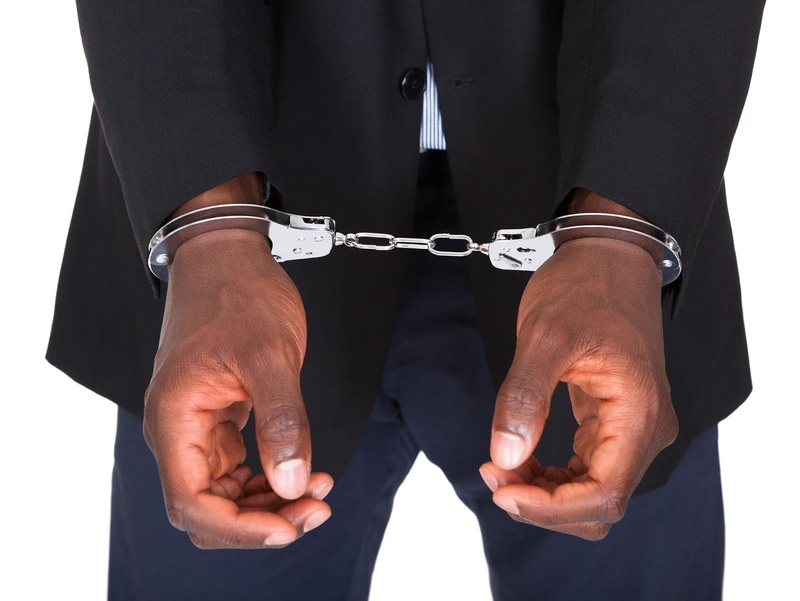 Three Nigerians, who in July 2015 were arrested and extradited from South Africa to the United States, were convicted today by a federal jury for their wide-ranging Internet fraud schemes including mail fraud, wire fraud, and bank fraud, conspiracy to commit identity theft, access device fraud, and theft of U.S. government funds and conspiracy to commit money laundering aka Yahoo. Acting Assistant Attorney General Kenneth A. Blanco of the Justice Department’s Criminal Division and U.S. Attorney Gregory K. Davis of the Southern District of Mississippi made the announcement. Oladimeji Seun Ayelotan, 30, was convicted and faces up to 95 years in prison. Rasaq Aderoju Raheem, 31 was convicted of conspiracy to commit mail fraud, wire fraud, and bank fraud, conspiracy to commit identity theft, access device fraud, and theft of U.S. government funds, three counts of mail fraud, and conspiracy to commit money laundering. Raheem faces up to 115 years in prison. Femi Alexander Mewase, 45, was convicted of conspiracy to commit mail fraud and wire fraud, and conspiracy to commit identity theft, access device fraud, and theft of U.S. government funds. Mewase faces up to 25 years in prison. Sentencing for all three is set for May 24, 2017 in the Southern District of Mississippi. A total of 21 defendants were charged in this case. To date, defendants Adekunle Adefila, 41, of Nigeria; Anuoluwapo Segun Adegbemigun, 40, of Nigeria; Gabriel Oludare Adeniran, 30, of Nigeria; Genoveva Farfan, 45, of California; Rhulane Fionah Hlungwane, 26, of South Africa; Teslim Olarewaju Kiriji, 30, of Nigeria; Dennis Brian Ladden, 75, of Wisconsin; Olutoyin Ogunlade, 41, of New York; Taofeeq Olamilekan Oyelade, 32, of Nigeria; Olufemi Obaro Omoraka, 27, of Nigeria; and Olusegun Seyi Shonekan, 34, of Nigeria; have pleaded guilty to related conspiracy charges. Susan Anne Villeneuve, 49, of California, is awaiting trial. U.S. Immigration and Customs Enforcement’s Homeland Security Investigations (HSI) and the U.S. Postal Inspection Service investigated the case. Significant assistance was also provided by the Criminal Division’s Office of International Affairs, the HSI Cyber Crimes Center, HSI Attachés in Pretoria, South Africa and Dakar, Senegal, the U.S. Marshals Service’s International Investigations Branch and the Southern District of Mississippi District Office, the South African Police Service (SAPS) Directorate of Priority Crimes Investigation (DPCI) Electronic Crimes Unit, the SAPS Interpol Extradition Unit, the South African National Prosecution Authority and the South African Department of Justice and Constitutional Development. 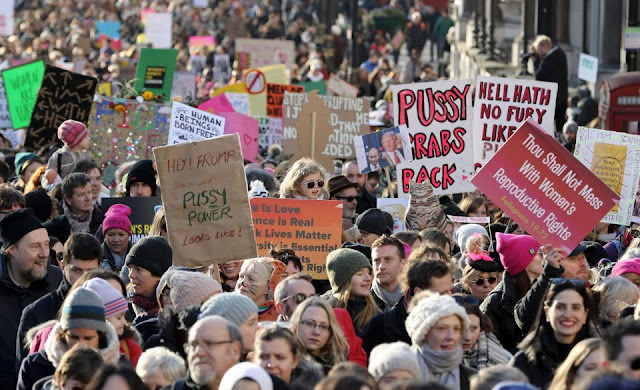 Women's March on President Donald Trump are being held in more than 30 countries across the world on his first day in the White House. The first batch of women's protesters were up bright and early in Washington DC awaiting the Women's March on Washington to begin Saturday. Adama Barrow is due to be inaugurated as the new president on Thursday, and West African military forces are poised to move in. Completely empty streets in usually busy parts of the #Gambia. People staying indoors. War is unavoidable. RCCG Confirms Pastor Joshua Obayemi is new Daddy G.O. Redeemed Christian Church of God (RCCG) Nigeria confirms that Pastor Enoch Adeboye, on Saturday appoints Pastor Joshua Obayemi as the new Daddy General Overseer (GO). The confirmation was made on twitter @PastorEAAdeboye t The shocking announcement was made at the congregation of all RCCG Pastors and ministers by Pastor E.A. Adeboye himself stating that he will no longer be general overseer. He immediately announced the new Overseer as Pastor J.O Obayemi, Pastor J.F Odesola as Secretary and Pastor J.A. Adeyokunnu as the new Treasurer. The announcement was made during the church’s annual thanksgiving held at the 3km by 3km new auditorium today 7th January 2017. He requested that the congregants pray for the new leadership after which he also pronounced blessings upon them. Also present at the meeting was the Vice President of the Federal Republic of Nigeria, Prof Yemi Osibajo and other Senior Pastors of the Church. Adeboye was born on March 2, 1942, in Ifewara, Osun State. Pastor Adeboye was appointed in 1981, nearly 36 years as General Overseer of the church. He took over from Papa Akindayomi, who had died the previous year. 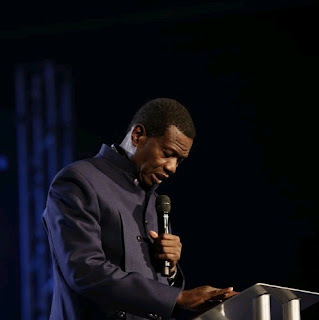 The church, which was not well known prior to Adeboye’s ascendance has grown phenomenally, to become Nigeria’s biggest, with branches globally in about 190 countries, including more than 14,000 in Nigeria. Adeboye has stated that his aim is to put a church within five minutes of every person on Earth. He married Adenike, now 68 in 1967. She was born on 13th July 1948. Pastor J.O Obayemi was the former Special Assistant to the General Overseer (SATGO) on Finance. 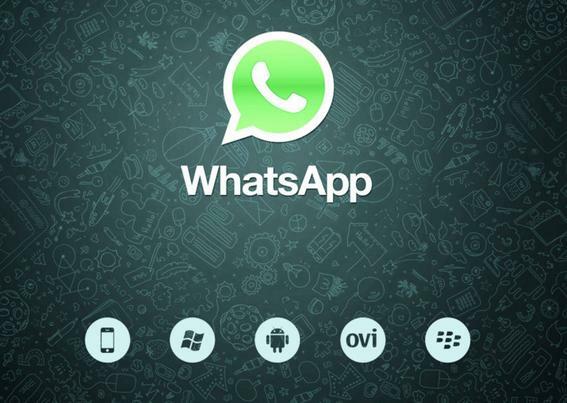 WhatsApp has announced that it will no longer support a range of older operating platforms by midnight December 31, 2016. WhatsApp say on their website: “As we look ahead to our next seven years, we want to focus our efforts on the mobile platforms the vast majority of people use. “While these mobile devices have been an important part of our story, they don’t offer the kind of capabilities we need to expand our app’s features in the future. “This was a tough decision for us to make, but the right one in order to give people better ways to keep in touch with friends, family, and loved ones using WhatsApp. The app will stop running on a variety of models, including Androids, Windows, iPhones, BlackBerry and Nokia Phones. Nigerian President Muhammadu Buhari delivered a videotaped address to Nigerians, urging Shi’a Community and Niger Delta militants to embrace peace in the New Year. I am happy to welcome you to the beginning of a New Year in our beloved country Nigeria. I felicitate with you today at a time when our nation is witnessing a new and impressive turnaround in our security and socio-economic situation. I know you will join me to, once again, congratulate the heroic and gallant efforts of our military and other security agencies on their remarkable successes to rid the nation of terrorism. Following the successful capture of Sambisa Forest, spearheaded by troops of Operation Lafiya Dole, we have entered a new phase in our battle against our common enemy, Boko Haram. When we see our beloved 21 Chibok girls reuniting with their families and community for Christmas, it gives us the hope that those who are still in captivity will one day return to the loving arms of family, friends and well-wishers. I urge all Nigerians to be on the alert and watch out for strange figures settling in their communities, and report to the nearest security agencies, as our armed forces intensify the pursuit of fleeing terrorists from the captured Sambisa Forest. Misguided elements who decided to take up arms against constituted authorities must be brought to face the full weight of the law. The support of all Nigerians to security agencies to enable them successfully execute their mandate is crucial in our bid to effectively secure our country. Seeing the joyful return of thousands of Internally Displaced Persons (IDPs) to Damasak town in Borno State, following the reopening of Maiduguri/Gubio/Damasak road in Northern Borno on December 25, 2016, reassured us that the voluntary return of IDPs in other parts of the country is imminent. The Federal Government will spare no effort in seeing to the resettlement and rehabilitation of the unfortunate victims of terrorism and insurgency. I urge state governments, privileged Nigerians, donor agencies and countries to redouble their contributions towards this goal. Government is aware of some mistakes and wrongdoings in handling the affairs of IDPs. We are taking measures to correct those mistakes and punish the culprits. In this New Year, I want to reassure all Nigerians that our defence and security forces are more than ever before ready to perform their constitutional role of protecting lives and property in the country; and we will surely overcome all other forms of security challenges. The lingering security issues in several states will be frontally addressed. These ugly crises cannot be allowed to fester as they strain the unifying bonds of brotherhood and neighbourliness. Some sections of the press and some politicians should avoid provocative and inflammatory statements, while the government is painstakingly trying to find solutions to our challenges. I want to remind you on the first day of this New Year of an African proverb that says “it is easy to break a broomstick but not a bunch”. Nigeria is a bunch and is more than equal to troublemakers. I have interacted with a broad spectrum of Nigerians, the old and the young, and they have told me unequivocally that they believe in the unity and stability of Nigeria. The year 2017 provides an opportunity for us to build on those aspects of our national life that unite us. We are courageous, hardworking, hospitable, steadfast and resilient people, even in the face of difficulties. These are the attributes that define us and have for years confounded the pessimists who do not believe in our continued existence as a united and indivisible nation. We are a remarkable nation that has succeeded in harnessing our multiple diversities for national development. We must continue to support and tolerate one another and live together as one. We will continue to pursue peace initiatives in the Niger Delta as I again, call on our brothers in that region who have taken to violent disruptions of economic infrastructure to come to the negotiating table. As for our brothers and sisters of the Shia Community, we urge them, too, to embrace peace. They must accept the laws of the country they live in. They cannot be islands by themselves. At the same time, the law enforcement agencies must treat them humanely and according to the rule of law. On our part, in the past 20 months since our inauguration on May 29, 2015, we have focused our energies to turn around the economy, create jobs, fight corruption, and transform agriculture to replace oil and gas as a major revenue earner for the nation. I am encouraged that we are getting things right. The agricultural revolution has begun. Farmers in different parts of the country are experiencing bumper harvests; states are getting into strategic partnership towards attaining self-sufficiency in rice, and the era of over-dependence on oil for foreign exchange revenues is gradually waning. I am optimistic that the CHANGE we all yearned for in voting this administration to power in 2015 will manifest more and be sustained in different sectors, particularly agriculture, in 2017. As you may be aware, our economic recovery and growth plan in 2017 is anchored on optimizing the use of local content and empowering local businesses. In pursuit of this administration’s philosophy, we will continue to appeal that we buy “Made In Nigeria” goods. Like I said during the 2017 Budget presentation to the National Assembly, farmers, small and medium-sized manufacturers, agro-allied businesses, dressmakers, entertainers and technology start-ups, will remain the true drivers of our economic future. They are the engine of our economic recovery and their needs underpin our Economic Recovery and Growth Plan. On job creation, this administration will sustain existing programmes aimed at lifting a vast number of our youth out of poverty, while at the same time creating the opportunities for people to fend for themselves. Our determination to wrestle corruption to the ground remains unshaken. This fight, which will be guided by respect for the rule of law and due process, will not spare anybody or organ of government. It is a collective undertaking and resolve that must be seen to its logical conclusion in spite of certain distractions. The fate of our country lies partly in the success of this campaign. It will be unthinkable on my part to allow the boat of this crucial campaign promise capsize mid-stream. I thank you for the public support for our administration’s efforts to transform Nigeria. I assure you again that the current pains are temporary and will ease when the economic seeds in gestation begin to bloom to fruition. I urge you to continue to support this administration in its effort to transform Nigeria for the good of all. Chinese companies has been mass producing fake rice made out of plastic for years now. These plastic rice grains look exactly like rice but remain hard after cooking and smells like plastic. Eating plastic rice is dangerous for your health and poses severe health concerns. Nigeria has confiscated more than 102 bags of "plastic rice" smuggled into the country, Lagos customs chief Haruna Mamudu said. 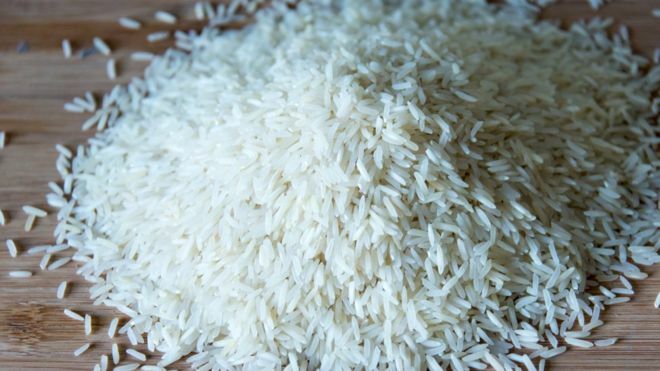 Rice is the most popular staple food in Nigeria.Investigations are under way to establish how much of the contraband has already been sold. Nigerians should be vigilant during this holiday period. In October 2016, the plastic rice panic was in the United States. 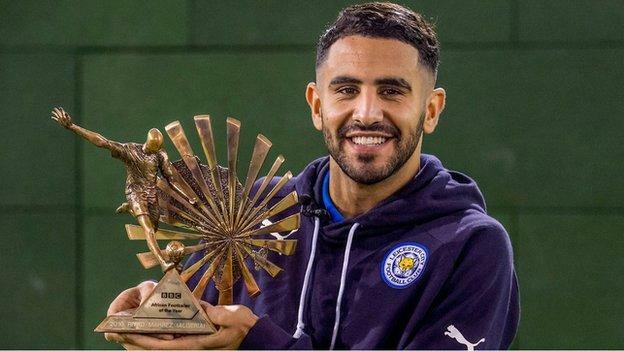 Algeria and Leicester City midfielder Riyad Mahrez wins the BBC African Footballer of the Year 2016. Mahrez won ahead of Pierre-Emerick Aubameyang, Andre Ayew, Sadio Mane and Yaya Toure. The 25-year-old midfielder becomes the second Algerian to win the award following Yacine Brahimi award of the BBC African Player of the Year Award in 2014. The award comes as an icing to the cake for the Algerian who had already won the English Premier League title and was voted Professional Footballers’ Association Player of the Year. Winger Mahrez, 25, told BBC Sport: "It means a lot, it's something big for African players so I am very happy, I am very proud. 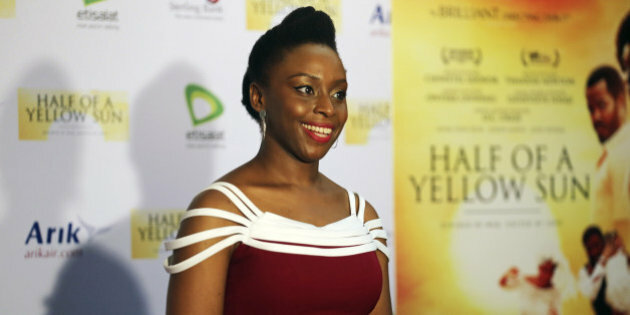 "It's always good to receive awards and for African players it's a huge honour. To all the fans, thank you very much." He added: "Also I want to thank the Algeria fans and dedicate this to them as well and for my family. "I just have to carry on and keep going with my football and see what I can do." Real Madrid and Portugese soccer player Cristiano Ronaldo has won the prestigious Ballon d'Or award for a fourth time. Ronaldo, 31, helped Real Madrid win last season's Champions League and scored three goals as Portugal won Euro 2016. It adds to the titles he won in 2008, 2013 and 2014. "I never thought in my mind that I would win the Golden Ball four times. I am pleased. I feel so proud and happy," said Ronaldo. "I have the opportunity to thank all of my team-mates, the national team, Real Madrid, all of the people and players who helped me to win this individual award." 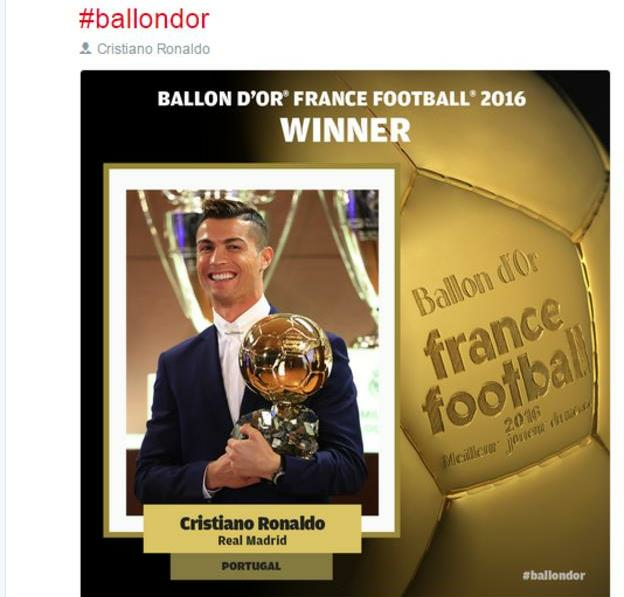 Ronaldo is now one behind Barcelona forward Lionel Messi, who received the honour in 2009, 2010, 2011, 2012 and 2015. Transparency International released its annual Corruption Perceptions Index, which ranks 175 countries on their levels of public sector corruption. 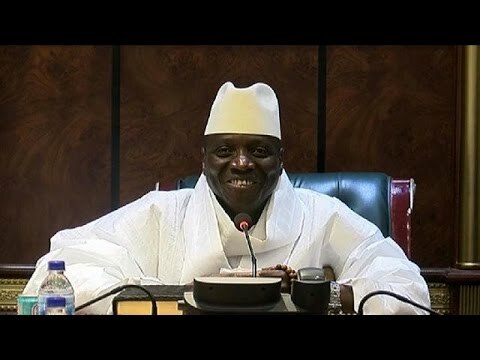 Here are the 10 most corrupt countries in the world. 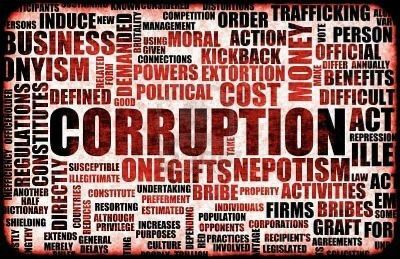 Friday the 13th (December 13) marks International Anti-Corruption Day. The theme set by the United Nations (UN) this year is "United Against Corruption for Development, Peace and Security." According to the UN, every year 1 trillion U.S. dollars is paid in bribes while an estimated 2.6 trillion U.S. dollars is stolen annually through corruption, a sum equivalent to more than 5 percent of global GDP. The United Nations Development Program (UNDP) finds that funds lost to corruption are estimated at 10 times the amount of official development assistance for developing countries. Since International Anti-Corruption Day was first observed, its organizers, the UNDP and the United Nations Office on Drugs and Crime (UNODC), have developed a joint global campaign to fight corruption. This year the campaign focuses on corruption as one of the biggest impediments to achieving the Sustainable Development Goals. Hundreds of thousands of Brazilians and South Koreans marched calling for the removal of their scandal-plagued Presidents who both were later impeached by parliament votes making 2016 the year 2 female Presidents were impeached for corruption! 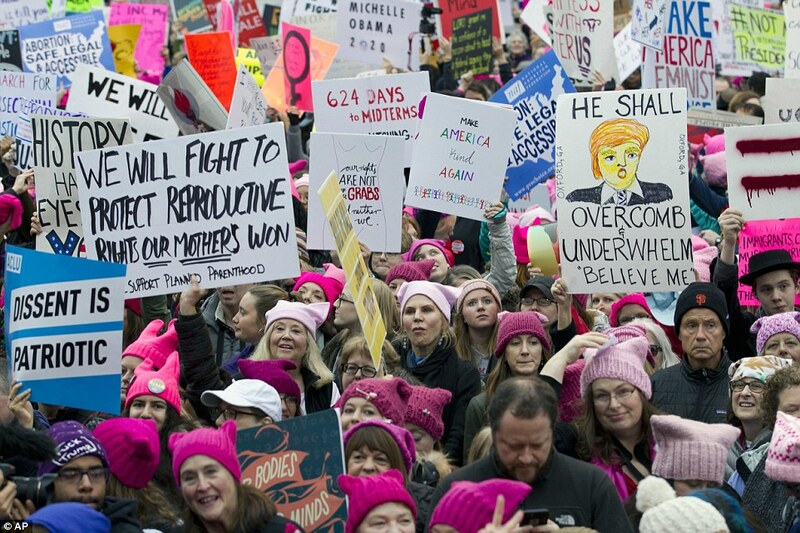 What about the male presidents? Nana Akufo-Addo Trump, 72, will be the president of Ghana come Saturday. The former attorney general and foreign minister will be the first person to win the presidency from an incumbent election since Ghana returned to multi-party democracy. Nana Akufo-Addo lost the 2008 presidential poll by one percentage point and lost the 2012 presidential poll by by 300,000 votes to current President John Mahama. But like his West African counterpart-Nigeria's president Buhari, Nana will be the president-elect once the official results is announced. Ghana radio stations, Joy FM radio and Citi FM has called the presidency in favor of Nana Akufo-Addo. The electoral commission is set to begin releasing official results on Friday and complete the process by Saturday. Joy FM’s website showed Mr Akufo-Addo winning with 53 per cent of the vote and Mr Mahama on 45.2 per cent, based on a count of 218 constituencies out of 275 in total. Citi FM gave Mr Akufo-Addo 54.8 per cent based on 190 constituencies. Incumbent president Mahama said on Twitter on Friday he would wait for official results. "Let's allow EC (Electoral Commission) to carry out its constitutional mandate. We'll make Ghana proud no matter outcome" of the election, he said in a tweet on his official account. 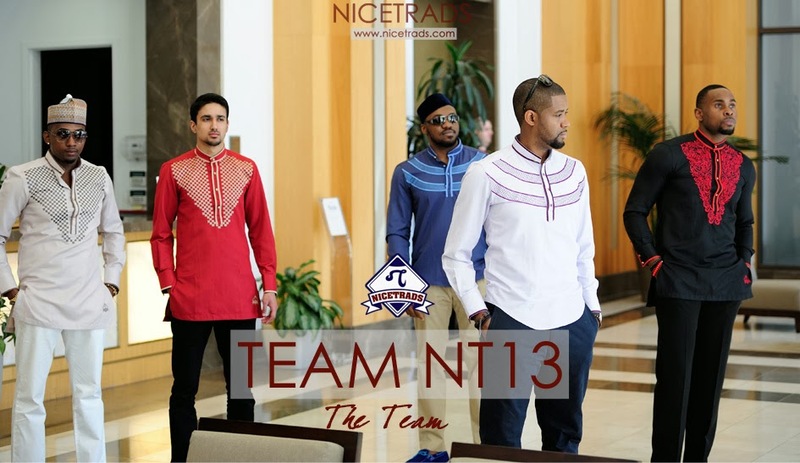 “After an ostensible search for the very best, he presented many recycled figures with whom Nigerians were disenchanted. But the real test of his presidency came with the continued fall in oil prices, which had begun the year before his inauguration,” she continued. “Nigeria’s economy is unwholesomely dependent on oil, and while the plunge in prices was bound to be catastrophic, Mr. Buhari’s actions made it even more so. “He adopted a policy of ‘defending’ the naira, Nigeria’s currency. The official exchange rate was kept artificially low. On the black market, the exchange rate ballooned. Prices for everything rose: rice, bread, cooking oil. Fruit sellers and car sellers blamed ‘the price of dollars’. Complaints of hardship cut across class. Some businesses fired employees; others folded. 21 of 218 Nigerian teenagers that were kidnapped by Boko Haram from a school in the town of Chibok for the past 2.5 years are now free. 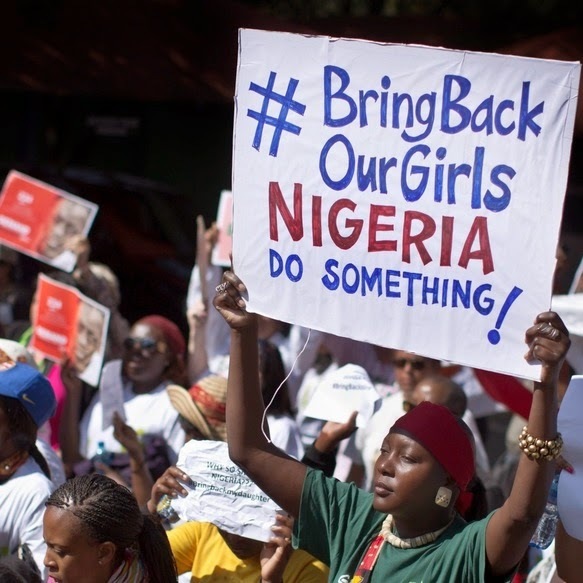 Soon after the girls were kidnapped in April 2014, an international campaign began urging the Nigerian government to do more to secure their release, using the hashtag #BringBackOurGirls. The #BringBackOurGirls is one of the biggest social media fails of 2014. For more than a year, the Nigerian government has negotiated with Boko Haram to get the girls back. But the talks failed multiple times, in one case at the last minute. Finally, the government said Thursday, the negotiations bore fruit. Still, most of the girls remain in captivity, their whereabouts, health and circumstances unknown. Relatives of the girls rejoiced, even before they knew whether their kin were among those freed. Earlier in the day, Lai Mohammed, the minister of information and culture, denied preliminary reports that Boko Haram fighters might have been released in exchange for the girls. Ethiopia declared a state of emergency following months of violent anti-government protests. The state of emergency was the first time in 25 years Ethiopia has declared a state of emergency. South Africa are reluctant to declare a national state of emergency after violent new protests over the police shooting of a black man erupted in the heart of Capetown, leaving one guard shot and two critically wounded. Vehicles being searched this morning at access gates. "Welcome to the university of stones & guns", says one of the campus control guards. Twelve suspended University of Stellenbosch students are entering the third day of their hunger strike. They want the university to lift their suspensions but said they are yet to hear from the management. They were suspended for their involvement in the #FeesMustFall protest on campus, which involved occupying the library. The protesting students have vowed to continue protesting until government and management at universities commit to free education. The government, grappling with a budget deficit of nearly 4 percent of GDP, has capped the 2017 fee increases to 8%. “We believe sense will prevail. Stakeholders must also play their part,” he said reiterating his view that the protests have been infiltrated by criminality. Five students were arrested at Rhodes. At least 20 students were arrested at the University of the Free State in relation to public violence and contravening a court order. There were also disruptions at the Mahikeng Campus of the North West University early this morning and students were dispersed by the police. At the Westville campus of the University of KwaZulu-Natal, police came under constant attack by groups of students who pelted them with rocks. At the UKZN Westville campus, public order policing shields were damaged and at least two police members sustained injuries when students stoned them with rocks. General Phahlane said this type of behaviour can never be condoned by any law-abiding person and should be condemned. General Phahlane went on to defend police members deployed to curb the situation saying they have continued to display maximum restraint in the face of severe provocation. Theirs is not an easy task, he said. General Phahlane vowed that despite the intimidation from the students, “there will be no other Marikana” under his watch. In order to ensure peace and stability and to protect the life and property of people of South Africa, the police will enforce the Dangerous Weapons Act of 2013 and the Regulation of Gatherings Act of 1993 decisively, he said. General Phahlane also called on the members of the media to report “objectively”, without resorting to sensationalism, exacerbating a situation which is volatile. He urged student leaders not to incite violence. Technology on the rise. There's no question about it – the IT workforce is evolving quickly. The Internet is providing a wider range of jobs for men and women.Fake girlfriends job are one of the fastest growing in 2016. Men pays an average of $100 each month for a fake girlfriend to sent him pictures, messages and emails. Apps like Invisible Girlfriend and KARI the Virtual Girlfriend, have become more and more popular for lonely men. The number of never-been-married Americans at 25-years-old is at an all-time high. While some fake girlfriends do have to meet in person, one client Ben explained he pays for a girlfriend simply because he doesn't have time to physically meet someone. 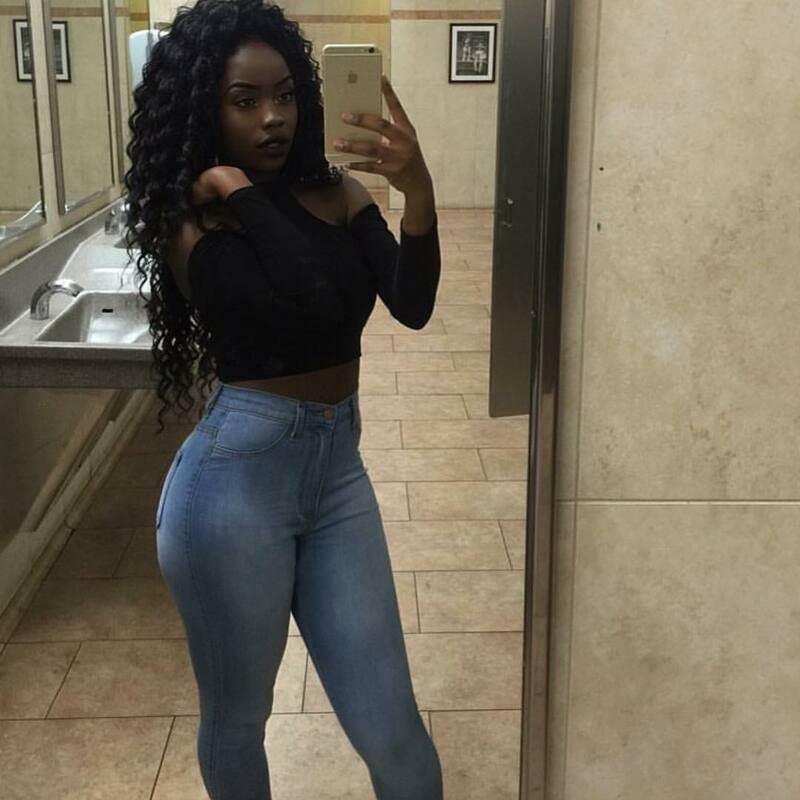 He stated: "In the morning I could get a Snapchat selfie with 'good morning baby' written on it, later in the day she might message me on Kik about how her day at work has been. It's not crazy stuff. "If she's come down with strep I'll know about it, if she's got a headache she tells me, and if she's out partying I get Snapchats that no-one else sees. There's never really any hot stuff...for most of the time it's the sort of thing you'd find in any regular relationship." Ben claims the ability to message her and receive a response gives him a sense of closeness and he admitted to feeling genuinely toward the part-time model. "I don't think it's as strange as it first sounds," he said. "It's a connection." When asked how he feels about his "girlfriend" messaging other men for money, he admitted, "I don't really go down that route." 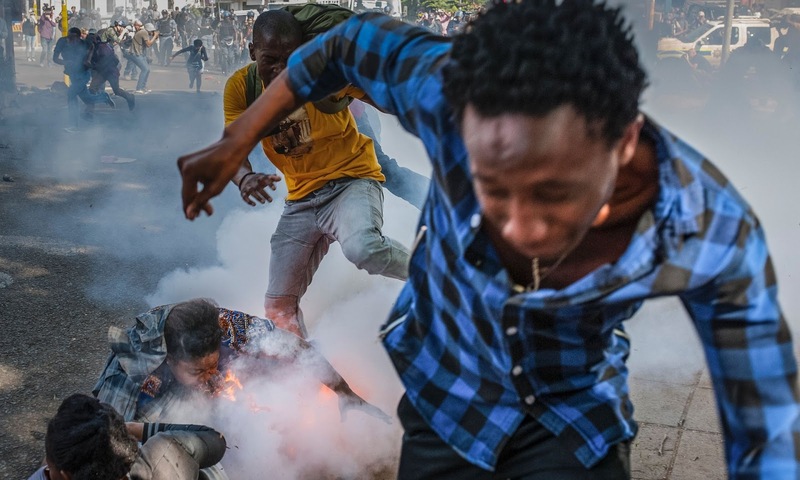 South African protesters clash with police turned violent as police fired stun grenades, rubber bullets and tear gas at stone-throwing students. Universities say they cannot make further compromise on the tuition as last year’s fee freeze has put their finances under great strain. Universities student leaders have pledged to continue protests against tuition fees as university students protest turns violent. 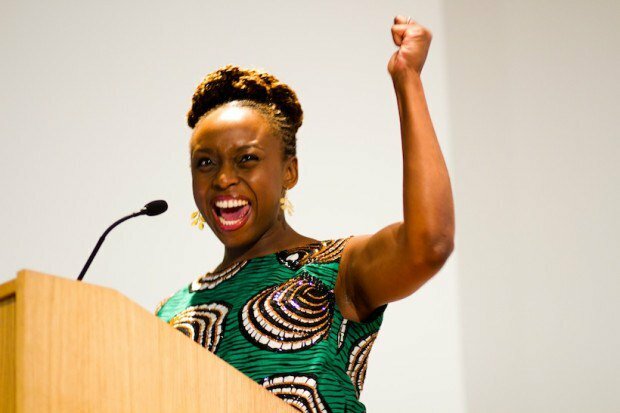 "I owe the university close to 70,000 rand ($5,000) in tuition as it stands. 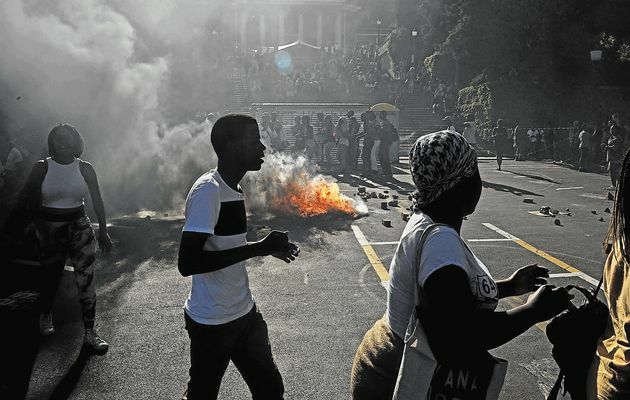 Even if you don't protest, at the end of the year the university is still going to send you a letter to say: 'look you haven't paid for two years, you have to leave," said a second-year education student at Johannesburg's University of the Witwatersrand (Wits). Protests have hit more than half of South Africa’s universities in recent weeks. Major South African universities suspended classes this week and others are shutting down. 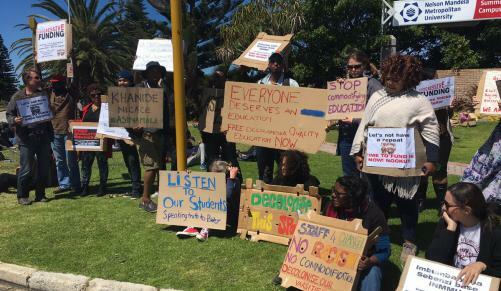 The protests came after President Jacob Zuma's government said it would continue subsidising university costs for the poorest students but could not afford free education for all. The family income cut-off for financial aid for three household income is 160,000 rand or less. Statistics South Africa data shows that university fees have soared by 80 percent since 2008, leading to the initial protests in 2015 that forced President Zuma to scrap proposed increases for 2016. The Treasury allocated nearly 300 billion rand to education this year, 20 percent of the budget and almost double spending on health. 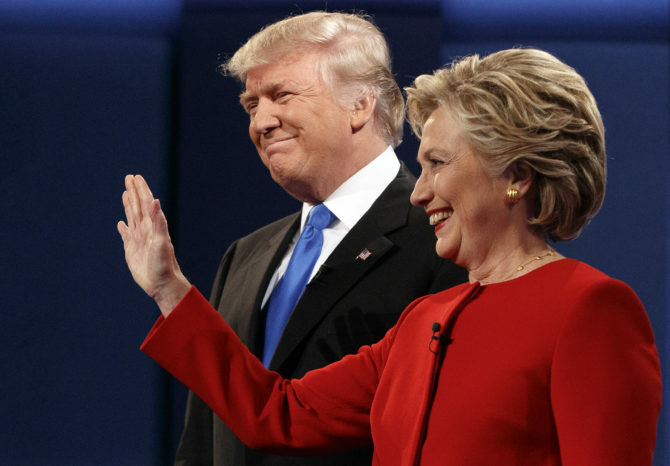 Donald Trump lost the US presidential debate on Hofstra University in Hempstead, New York, on Monday, September 26 to Hillary Clinton but won the twitter trends. According to Facebook, more than 590,000 people are talking about the U.S. Presidential Debate. The term “Trump fans” “Trump girls” and “Trump jokes” is also a popular search on Facebook, with more than 87,000 people talking about any of these phrases. The hashtag #TrumpWon trends on Twitter. “I’m still trying to figure what the hell did he won? Is this about the debate that I didn’t watch last night? The picture tells the story. It is sad. It has been for the past decades. Police shooting of African-Americans. African-American protests. Days of silence and the circle continues again. 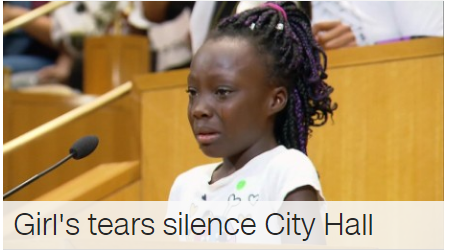 A young Charlotte girl, Zianna Oliphant climbed stood at the podium before Charlotte City Council meeting and delivered an emotional message to all Americans following the seventh day of protests of African-Americans being killed by police officers. "It's a shame that our fathers and mothers are killed and we can't see them anymore," Zianna said with tears streaming down her face. "It's a shame that we have to go to their graveyard and bury them. And we have tears. We shouldn't have tears. We need our fathers and mothers to be by our side." Nigeria continues in recession. No food. No job. Companies moving out from Nigeria. The current administration blames past administration for this mess. Able Nigerians are fleeing the country to other African countries or overseas. Nigeria's recession shows no sign of recovery. I have never seen anything like this before. The country was last in a recession, for less than a year, in 1991 but experienced a prolonged recession from 1982 until 1984. How long will this current recession last? Nigeria is facing its worst economic crisis triggered by a slump in crude prices, naira devaluation and dollar shortages. The NBS reported that Nigeria’s Gross Domestic Product contracted by 2.06 per cent, marking the first major recession in 29 years for Africa’s largest economy. Nigerians are suffering and the cost of living is on a daily rise. Nigeria's finance minister stressed that Nigeria should turn to industries other than oil to help pull itself out of recession "We have to grow our non-oil economy" she said. Nigeria's President Buhari called on Nigerian youths to be upright as they have a critical role to play in uniting the nation. “We are a nation of great human and natural resources, especially the youth. Please, sit down and reflect and remember what I said 30 years ago. We have no other nation like Nigeria. We must all remain and salvage it together”. “I assure you we are going to get out of our economic doldrums. We are almost out of our insecurity problems and we are going to make Nigeria great again. We are going to be very proud of our country ‎once again and our resources will not be for nothing; we will continue to be”, he said. 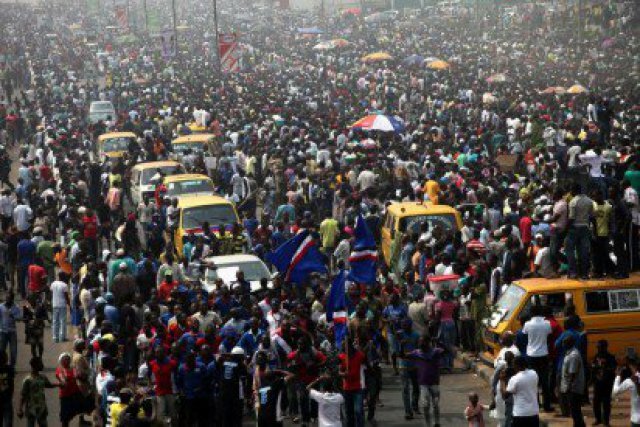 “Nigeria, with a population of over 75 million, is the most populous nation in Africa and the seventh most populous in the world. 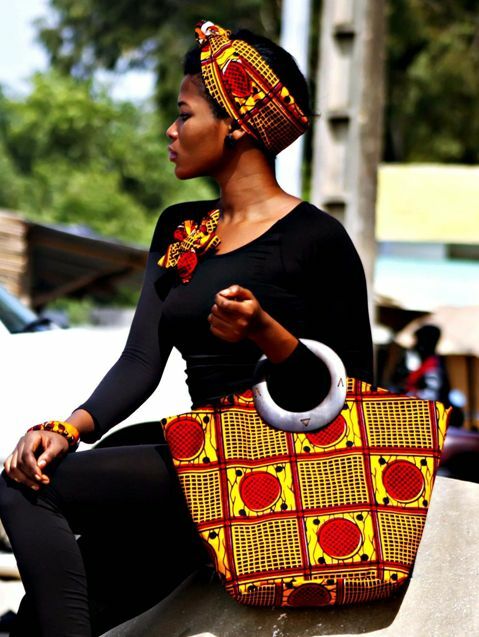 Her population will be approximately 200 million by 2019 and over 400 million by 2050, becoming one of the top five populous countries in the world. “Nigeria is one of the poorest and most unequal countries in the world, with over 80 million or 64% of her population living below poverty line. The situation has not changed over the decades, but is increasing. Poverty and hunger have remained high in rural areas, remote communities and among female –headed households and these cut across the six geo-political zones, with prevalence ranging from approximately 46.9 percent in the South West to 74.3 percent in North West and North East. “Despite the fact that Nigeria is a signatory to a number of protocols on sustainable and renewable environment, the country had, over the decades, failed to protect the environment, ecosystem and natural resources. Over-exploitation of natural resources and pollution of the environment, desertification are exposing the population to vulnerability and risks caused by climate change, among others. “Increase in population, human activities like farming, construction and cutting of trees, use of wood and effect of climate change lead to environmental destruction across Nigeria. “Nigeria faces humanitarian and emergency crises of considerable proportions fueled by a combination of factors including climate change, inter-communal conflicts and violence, insurgency, recurring floods, heavy handed tactics of security forces in combating crime and insurgency. The overall consequence is the situation of systematic and chronic internal displacement that has given rise to different humanitarian crises that include the most egregious and dehumanizing human rights abuses. British Scientist from Air Fuel Syndication has developed a technology that can create synthetic petrol from air.